Your bathroom. The place you visit more often than you’d care to remember. The place you go to first and last each day, and somewhere you’ll want to be as clean as can be when you have guests. Your bathroom is an important part of your home and often a selling point when your home becomes just a ‘house for sale’. Your bathroom sees it all. It looks after you, your family, your guests and visitors. Your bathroom, no matter how small, has an important part to play in the success of your home. A small bathroom has its work cut out though. One wrong move and the function, flow, design and overall look and feel of your small room are lost, ruined or disastrous. Good design can help you make your small bathroom really shine. Some thought, design and clever hacks can really make your small bathroom feel like a big success. Here are a few things to consider when designing a small bathroom. 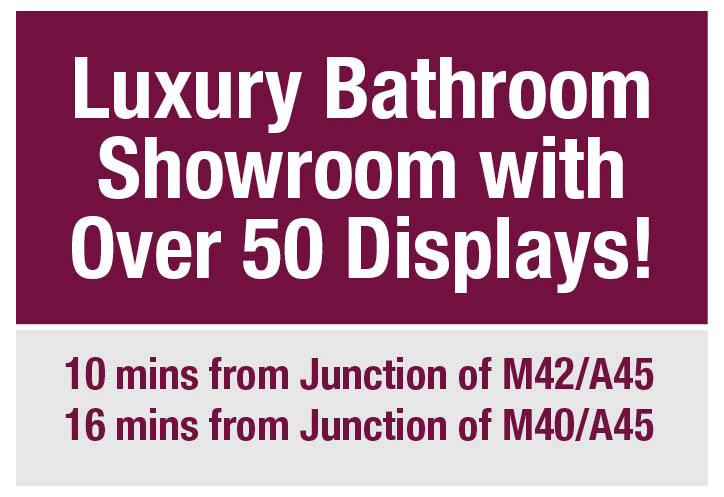 A very big consideration should be given to your biggest areas in your bathroom. The floor and walls are often an afterthought when designing any bathroom, but when you think about it, they’re the biggest part! 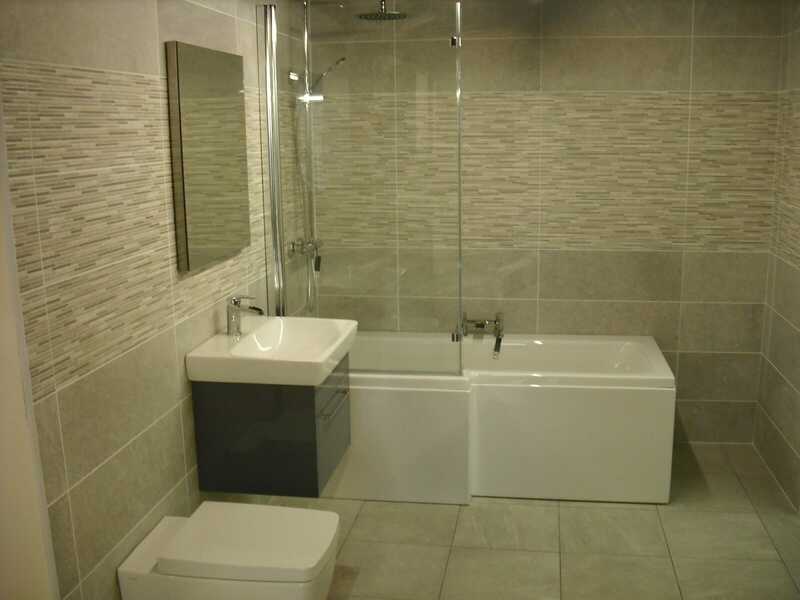 When designing a small bathroom, it’s always best to try and match your floor tiles, or better still, go for the same tiles on the floor and walls. Wall tiles will, more often than not, have the matching floor tiles to go with them, and we’d recommend that you go for that option if you can. When you match the wall and flooring tiles, the whole room feels more joined up – and that will give you a big bathroom feel in your small bathroom. Lighting is incredibly important in any bathroom but more so in small bathroom design. Dark and dingy is associated with small places, so you really want to steer away from dull lighting and poor natural light. Spotlights, big open windows, light colours and shiny taps and accessories will all add to the light and airy feel of any bathroom, so pay some attention to this. Good natural light is a must if you can get it, so avoid heavy light-blocking blinds or shutters, and don’t put too much in the way of any windows that you have. Of course, at night you’ll want to be able to switch on some bright spotlights and maybe even a light around your mirror too. Keep it light and airy to make your bathroom feel as big as it can. Of course, when your bathroom is smaller, you’ll have less of an area to tile. Although the suite will still cost you the same and the cost of labour won’t change vastly, there’s still a little saving which might allow you to splash out on some higher-quality tiles or suite. 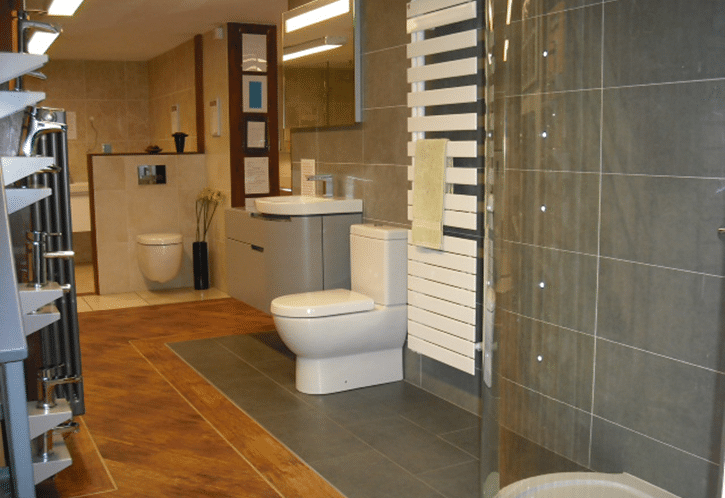 If you have the choice and the budget then certainly look at improving the layout of your bathroom. You don’t have to simply replace the suite and re-tile the room. 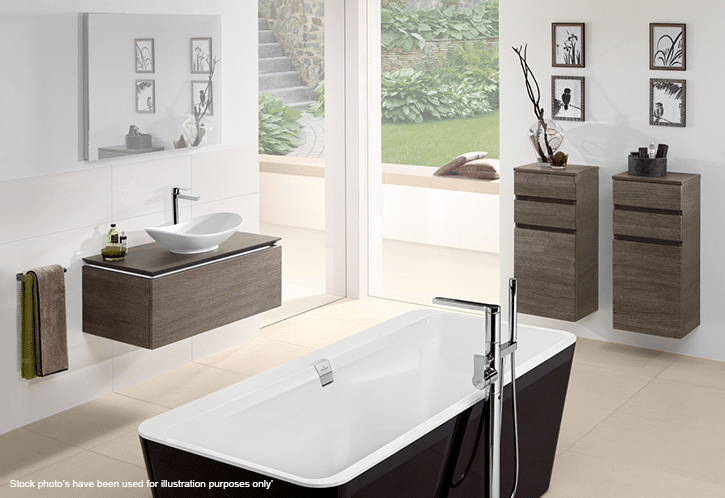 Moving the bath or basin might give you some more space or improve the movement and function of the room. CAD design is the best way to do this, or speak to someone like us with experience, but think about re-designing the layout as well as just improving the suite if you can. It’s becoming more and more popular to have just a shower in the bathroom. Although a bath is a great way to relax and wind down after a long day or week, many home owners simply don’t use their bath enough to warrant its permanent use in the bathroom. How often have you used the bath in the past year? Have you used it a few times a week? Then you might want to keep it. Once a month? Would you miss it? A bath shower is fine and we fit them all the time, but a stand-alone shower will give you so much more space. Work it out: Do you really need a bath? Could you do without the 10–12 times a year that you use it to give you more space for the 900+ times a year you use your bathroom? Despite all your efforts on the tips above, if your small bathroom is a mess it will always feel small. Clutter and mismatched towels are bad enough, but a lack of storage for essential bathroom items will take up space and make it feel smaller. Use every nook and cranny to build bespoke cupboards. 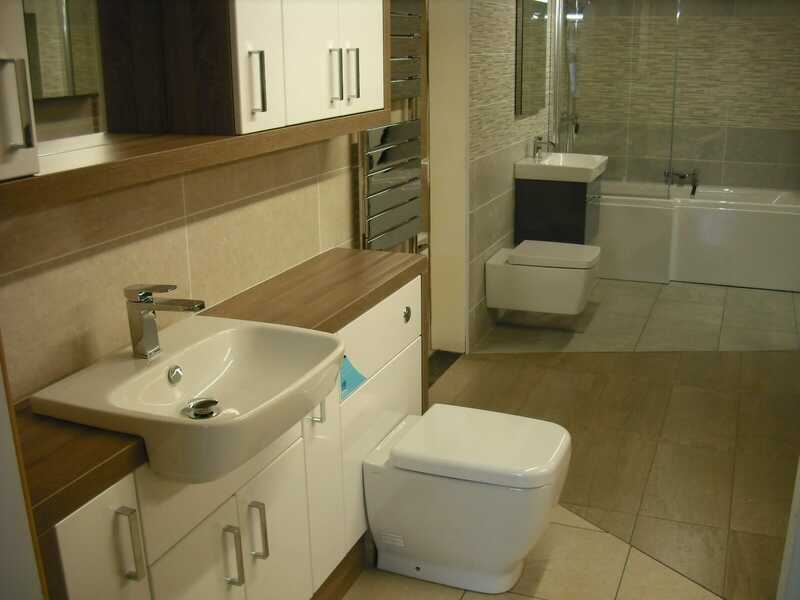 Going for a vanity unit might take up more space, but you may well save on the loss by having a cleaner, tidier bathroom. Use the height of the room and the corners too. Try to consider how you will use your bathroom and what you’ll need in it when you do. Hiding away as much as you can should be high on your list of priorities. 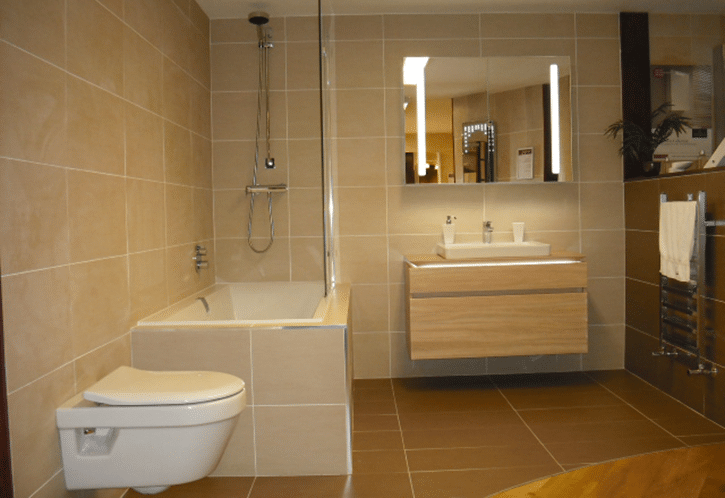 Small bathrooms – think big! Make the most of your space by being intelligent with your design. It’s incredible the difference the colour, the style, the lighting and more can make to your small bathroom. 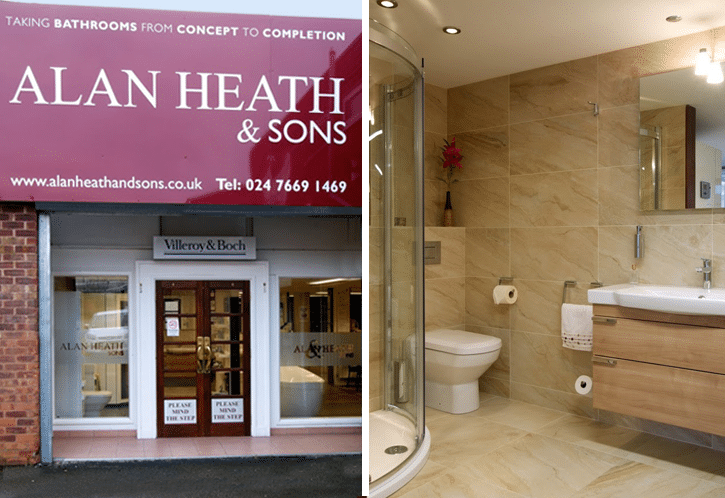 If you need any more help at all, do give us a call or visit our bathroom showroom in Coventry, near Warwickshire.